- Infantometer use for Measure height of born babies. - These infantometer are made Acrylic structure. - Foldable and light Design. - Able to measure heaight in MM, CM and inches. To furnish the diverse requirements of our clients in the best possible manner we are involved in offering an extensive range of Hospital Equipment. - Cylindrical filler technology to absorb heat. 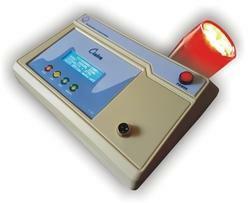 This ensures that the light of the lamp is cool and pure with homogenous field focus. Backed by a team of knowledgeable experts, we are a known firm in the market for providing an extensive series of Medical Vacuum System.